Here we are, at the end of my summer 2017 Europe travels. Amsterdam was Michael and I’s last stop, and in my opinion, we saved the best for last! If you have a backpack/purse with you plus a normal American size carry on bag (I had the Bigger Away with me) be sure to purchase a ticket for one checked bag and one hand bag (aka backpack/purse) prior to your flight – then, upon arrival at the airport, CHECK the carry on bag. This is the cheapest way that we found to travel. What NOT to do: Do not bring your rolling carry-on bag to the gate with you. If your bag won’t fit in the overhead bin, the low-cost carriers will force you to check it AND charge you around $50 for having to check the bag. As with all of the other cities that we visited on our trip (London, Paris, Barcelona, Berlin), we used public transportation to get around. You can take the train directly from the airport to the city center. It’s actually a very nice ride into town. The train station upon arrival to the city is beautiful from the outside so be sure to turn around and take a look when you’re leaving the station! 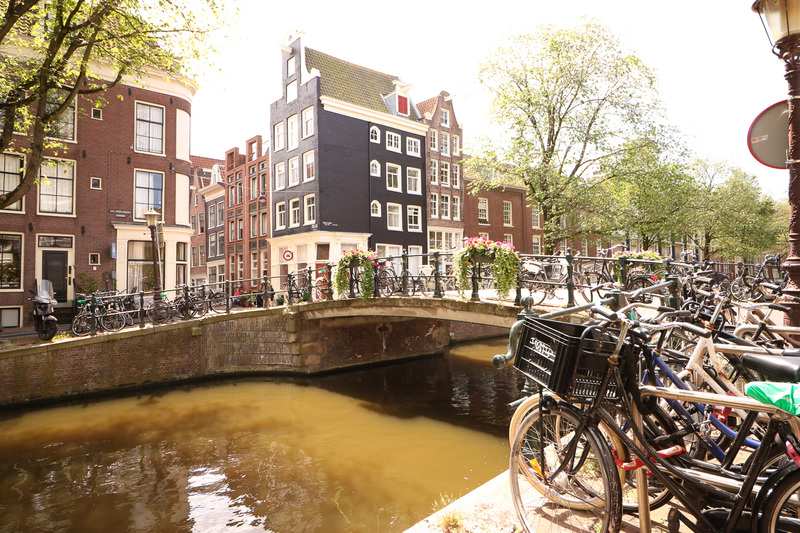 Similar to London, Paris, and Barcelona, we opted for an Airbnb in Amsterdam. It was perfect! 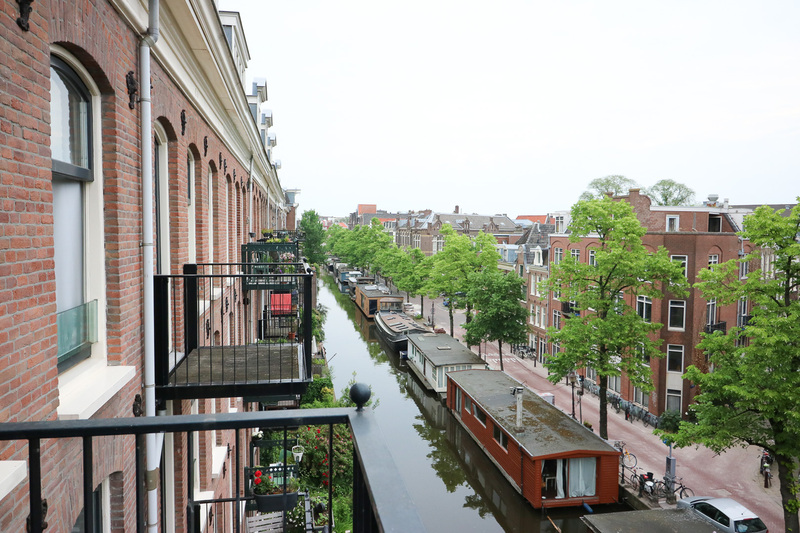 The location was amazing – easily walkable to everything, and it had a gorgeous, small balcony overlooking one of the famed canals. Our Airbnb was in the Joordan neighborhood, which I highly recommend staying in! If you happen to be traveling with a small child, this Airbnb is perfect for you! The hosts have a baby so there was a nursery in the apartment. Obviously we didn’t make use of this room, but I hardly ever come across Airbnb properties with a nursery so I thought I’d share! Don’t forget, you can use this link to get $40 off of your first Airbnb stay! 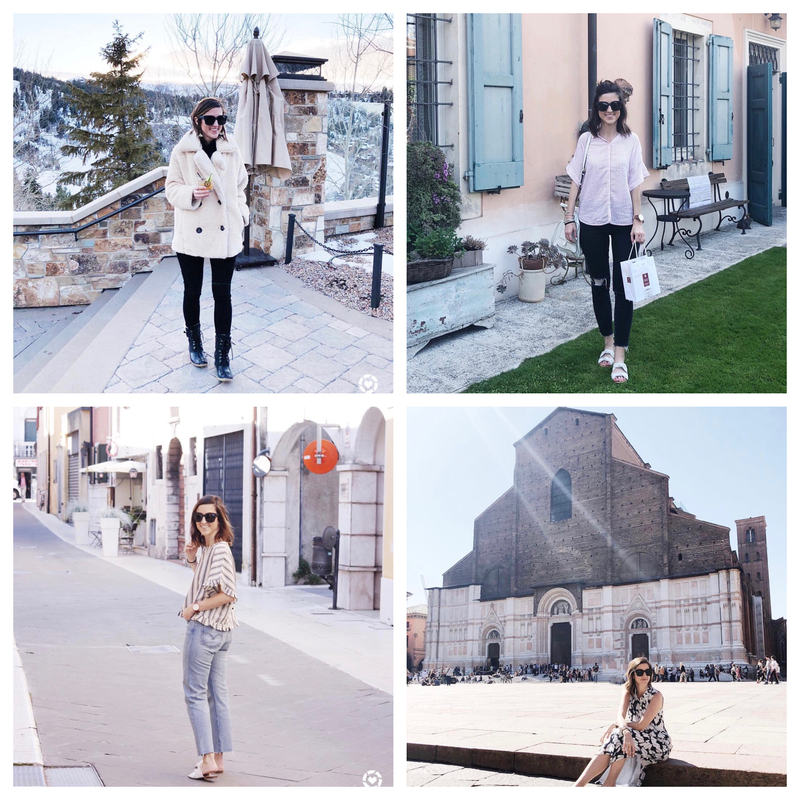 Curious about why I prefer to stay in Airbnbs while traveling abroad?! Check out this post! Again, as I’ve mentioned in previous posts, the number one travel accessory that I HIGHLY recommend purchasing if you’re traveling abroad is this power converter + adapter! It’s amazing. 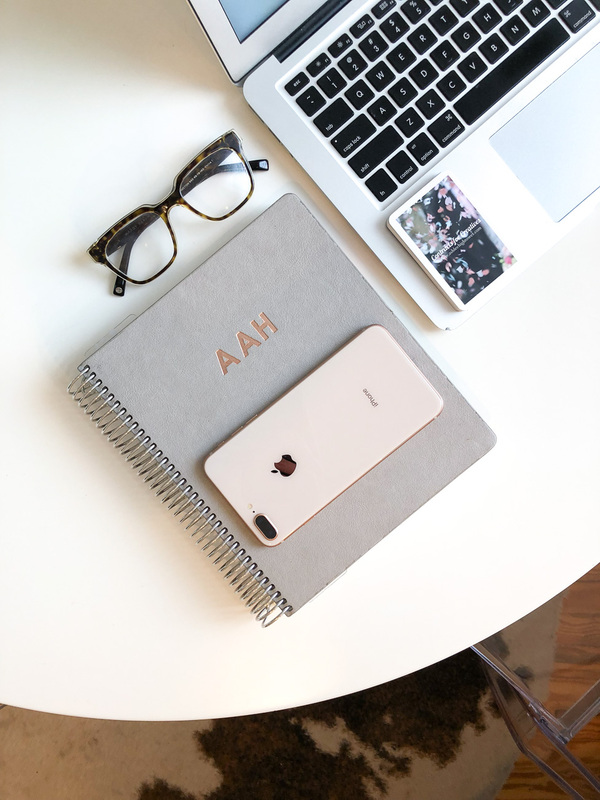 You need both because the converter is used to convert the voltage from their usage to what your electronic device is programed to use – this is why most ladies’ hair straighteners melt when they just use a power adapter and not a converter too! My straightener worked perfectly. The converter has three outlets and SIX USB ports – AMAZING! We called it our command center when everything was plugged up into it. ???? Amsterdam is the most charming little city. Granted, we had perfect weather when we were there – sunny, highs in the low 80s and lows in the low 70s, so I know this played a part in my love for the city. 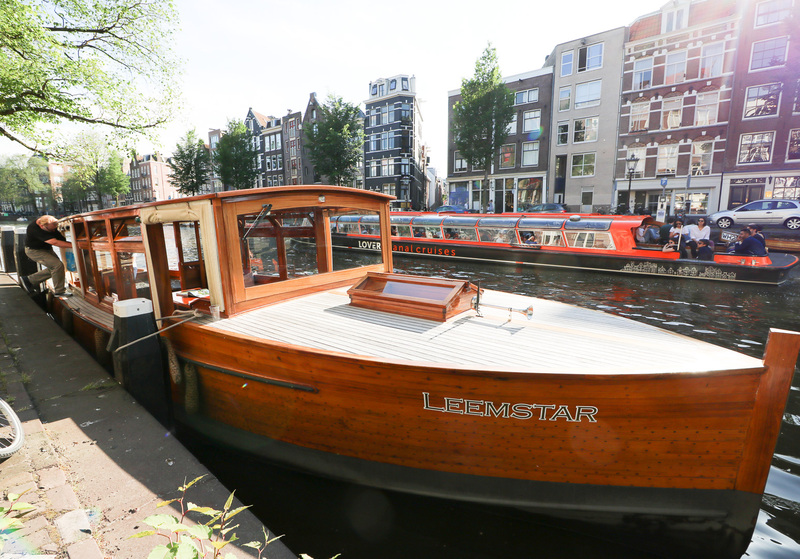 If you love water, you’ll love Amsterdam! The canals are gorgeous and they cut through almost every street in the city center. 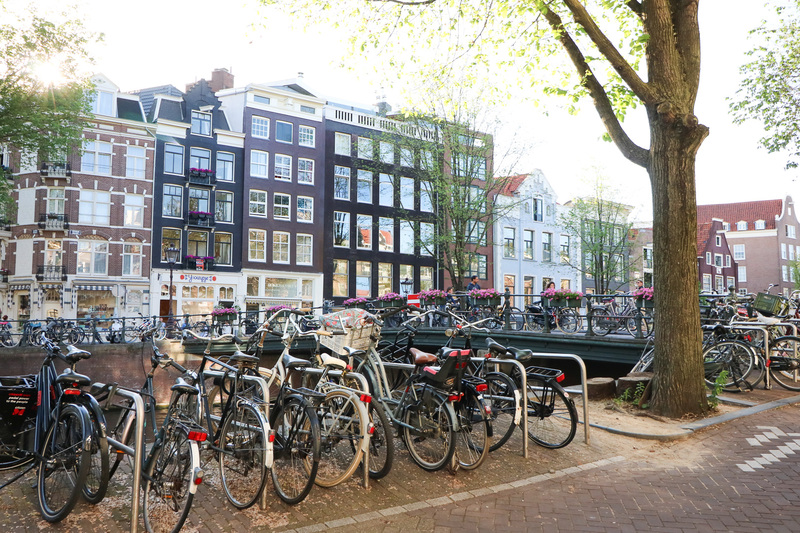 Everyone, and I mean EVERYONE rides a bike in Amsterdam. It’s the most picturesque European city, and my photos hardly do it justice. 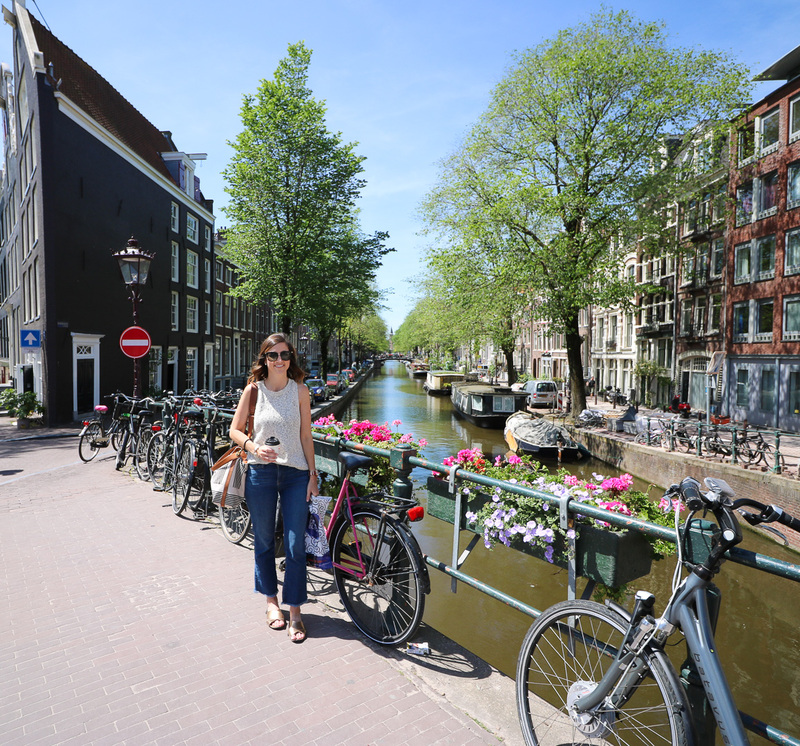 Although there are plenty of tourist attractions in Amsterdam, Michael and I opted for walking, wandering, eating and drinking our way through the city. We arrived around mid-morning from Berlin, and immediately headed for coffee. We wandered around Haarlemmerdijk Street, which is filled with shops and restaurants where we had lunch. That afternoon we wandered through the canals and found a place on the water for afternoon cocktails. The weather was absolutely perfect, so we parked it for a while and watched as boat after boat floated through the canal that we were on. 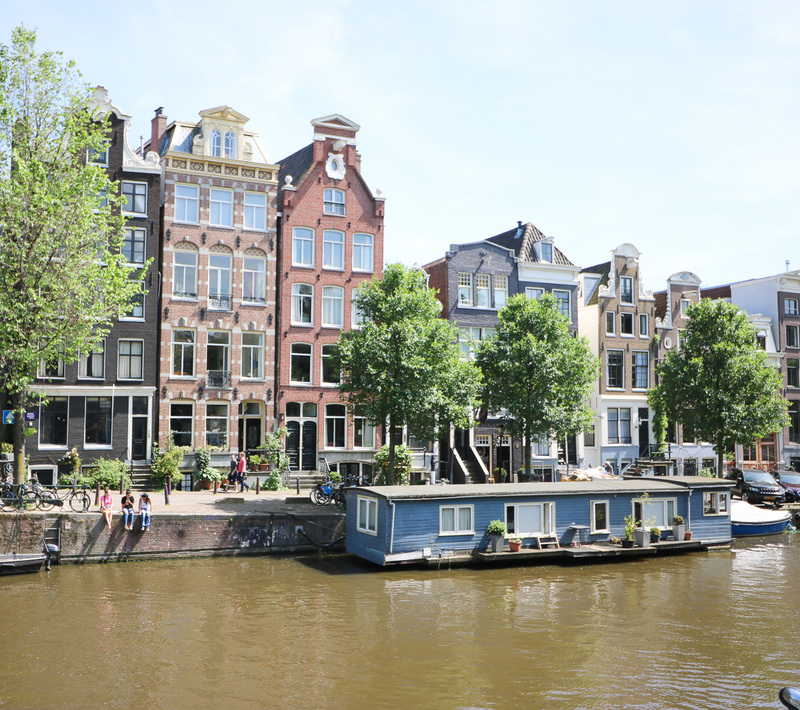 On our second day of wandering, we made it to the other side of town (Amsterdam’s city center is one giant horseshoe with alternating streets and canals). We walked through the Red Light District, which at the time that we walked through (around 11 am) there wasn’t much going on. It honestly reminded me of a morning stroll down Bourbon Street in New Orleans. For the afternoon, we booked a canal cruise. I HGHLY recommend doing this!! BUT you have to be careful of what boat/company you book! We saw TONS of boats cruising up and down the canals on our first day in the city, and I knew which ones I did not want to be on. There are a few main companies that do the obnoxiously huge tourist cruises, don’t do these!! Through a little research, I found Leemstar Canal Cruises. Our boat was gorgeous! The captain was super friendly and knowledgeable, and the best part, there were only about 8 of us onboard. It was wonderful! Pro Tip: Prior to getting on the boat, hit up a local grocery store or wine shop. We picked up hummus, bread, and most importantly, wine prior to boarding. 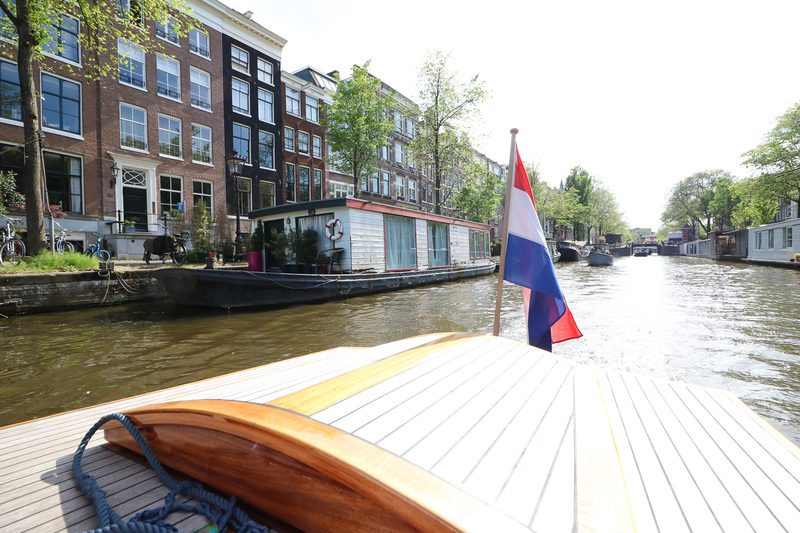 We brought everything onboard and had the loveliest time cruising through the canals! 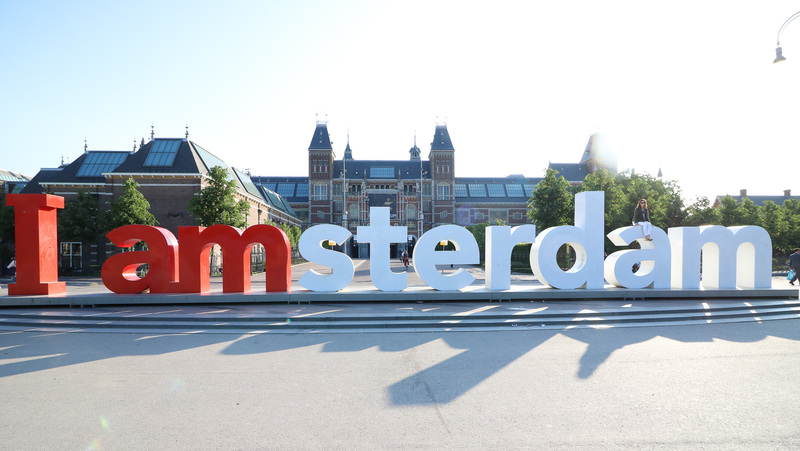 On our last day in the city, we woke up super early to get unobstructed photos in front of the famous I AMSTERDAM sign. We got to the sign around 8:00 am, and there were minimal people around. It was a gorgeous morning, and really nice to be up and at em that early! Back to Black (see below) is a great little coffee shop nearby – definitely head there after snapping your photos! We spent most of our last day at a local brewery, Brouwerij’tij. It’s right next to a windmill! The beers were delicious and super cheap! The brewery has a great outdoor patio filled with picnic tables. It got pretty crowded, but that made it even more fun – we ended up chatting with our table mates for the majority of the time that we were there! 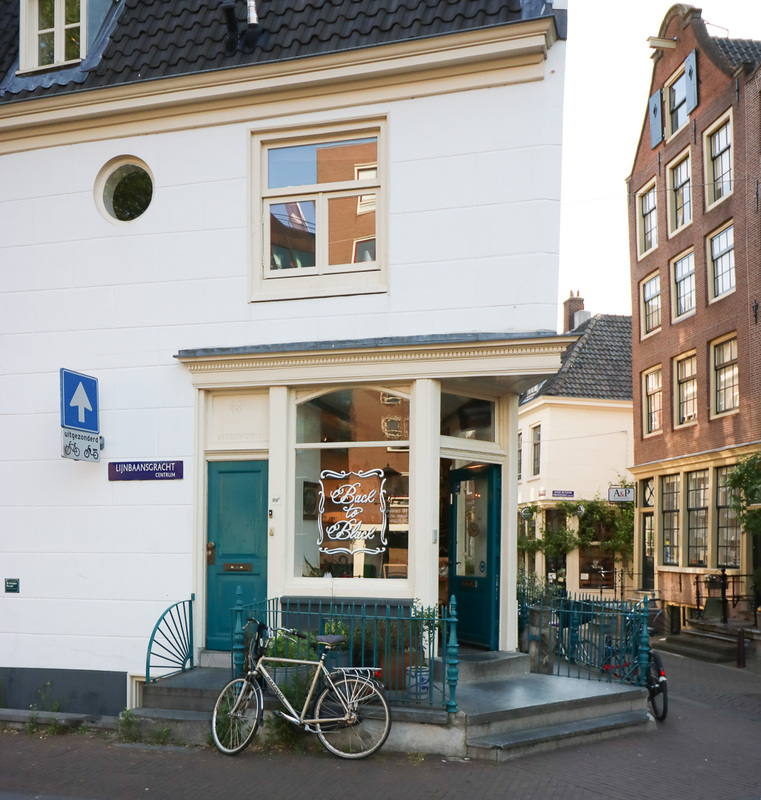 One more note on things to do in Amsterdam … You may be wondering why I haven’t mentioned the Anne Frank house. We tried to get tickets online to visit the house about a month before we left for our trip, and everything was already sold out. There is an option to wait in line and buy tickets at the door, but the line was HOURS long every day that we were in town. We hated to waste that much of our time just standing in line. So learn from our mistake, the moment you know that you’ll be in Amsterdam, log onto the Anne Frank House website and purchase tickets. 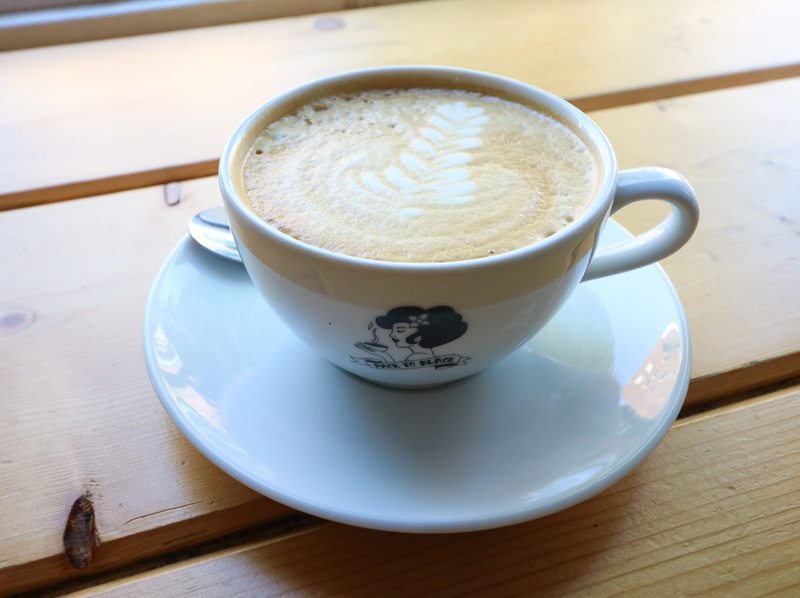 Toki – A really cool, hipster coffee shop. It was near our Airbnb so we popped in for a morning latte. Bagels and Beans – A local chain. Great bagels and smoothie/yogurt bowls. The staff was super friendly! 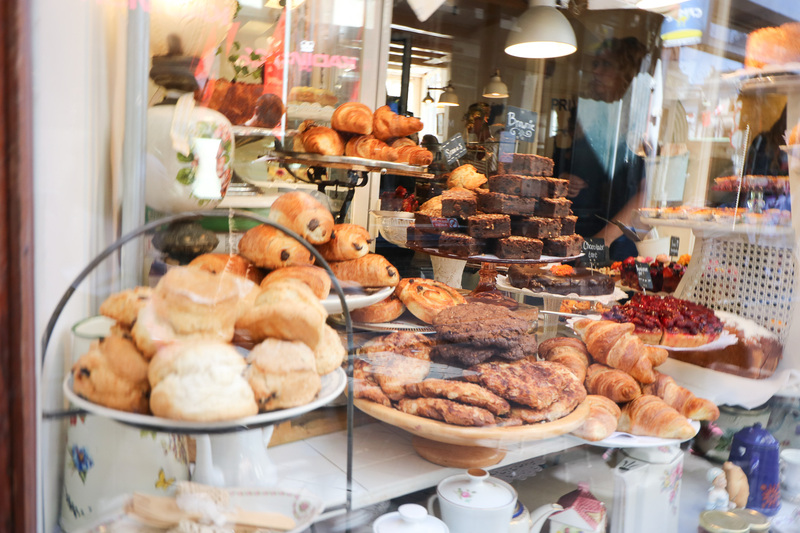 The Pancake Bakery – You MUST try the pancakes in Amsterdam! Highly recommend The Pancake Bakery. Amsterdam pancakes are super thin, more like an open crepe, but they’re delicious! 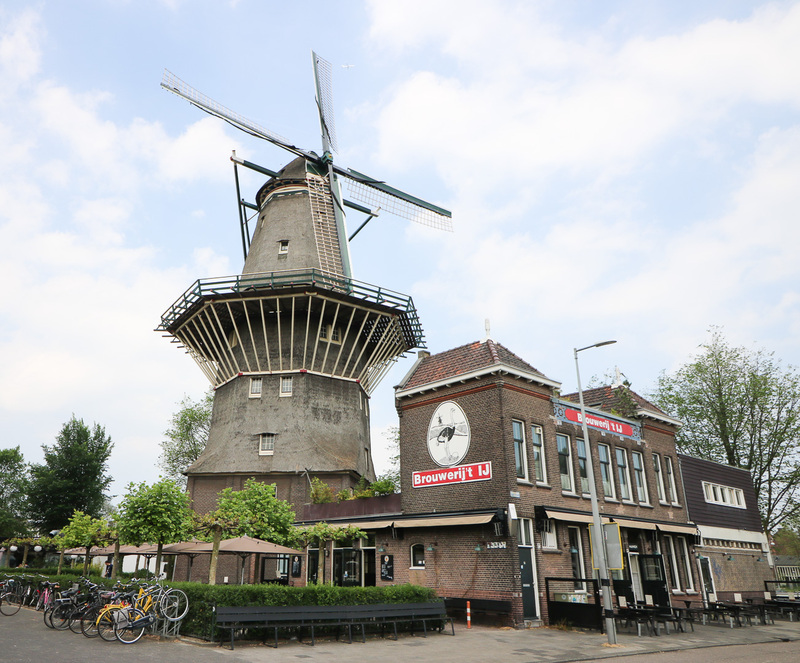 De laatste Kruimel – A cute bakery and coffee shop. Super charming. It has a tiny porch out back that overlooks one of the canals. If there’s room, definitely sit outside and enjoy the view! Back to Black: My kind of coffee shop! Super friendly staff. Great space. Near the I AMSTERDAM sign. Awesome latte. Stout – Great lunch spot with outdoor seating in a cool area of town! 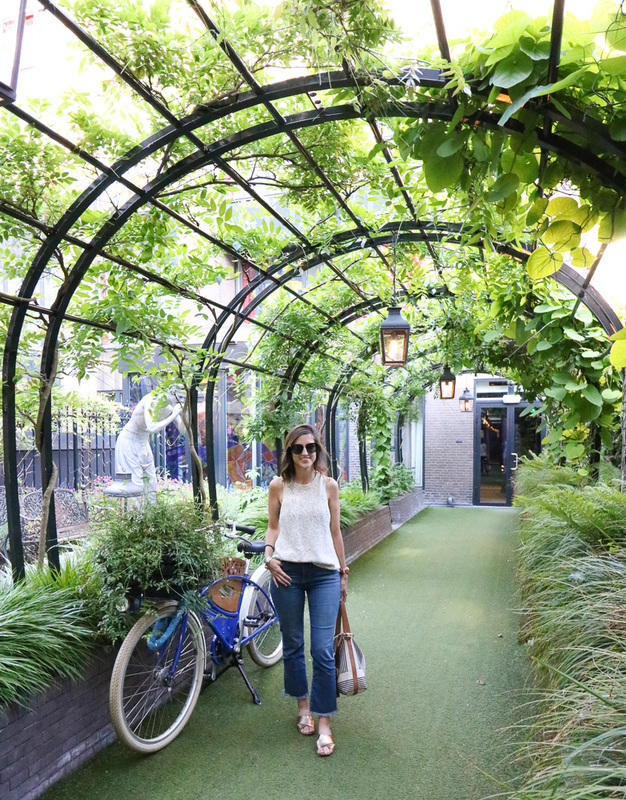 Harlem – The food here was so incredibly fresh! I highly recommend this spot! In a great, fun area of town too! De Pizzabakkers – Awesome pizza spot on a happening street. The service was spectacular. Highly recommend! La Perla – HIGHLY recommend this spot! We sat outside on the main street – such good people watching. The service was incredible, and the food was just as good. 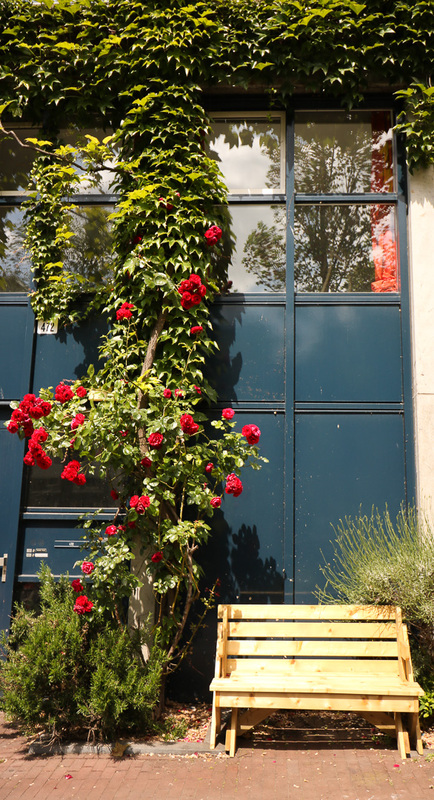 Cafe P96 – A great place for an afternoon drink! The restaurant has an outside, floating barge with tables. We spent two separate afternoons sitting here enjoying beers and watching the boats pass by! Spanjer en van twist – Another bar with outside seating along the canal. Brouwerij’tij Brewery – Cool, local brewery. Doesn’t open until later in the afternoon so be sure to check the times! A fun way to spend a couple of hours. Michale made a VLOG to recap our time in Amsterdam! Check it out here. That wraps up our Summer 2017 Europe Trip! I am so impressed you were able to get to the I AM Amsterdam monument without all the people! Such great tips about Easy Jet. Bumping this to the top of my bucket list! It was an early morning, but totally worth it! Such a cool city!